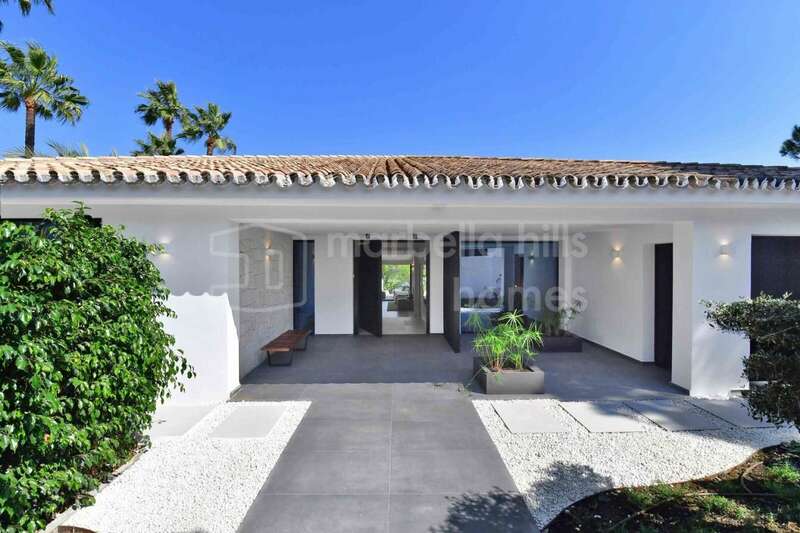 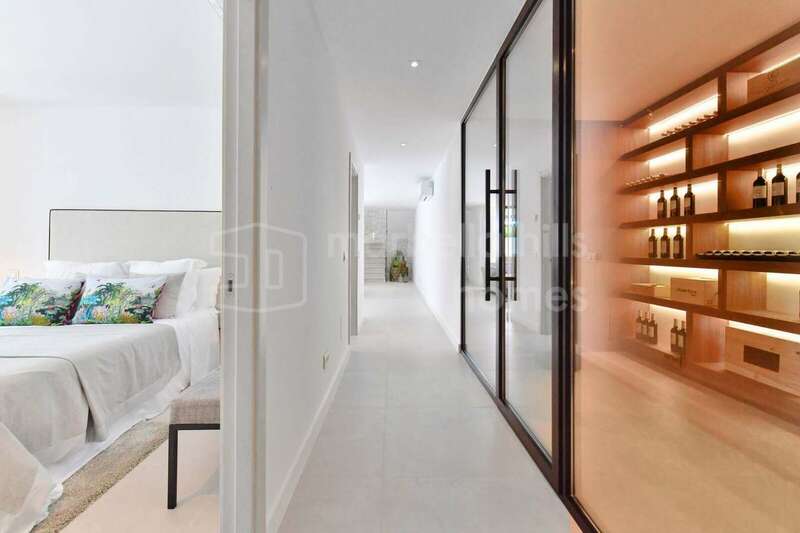 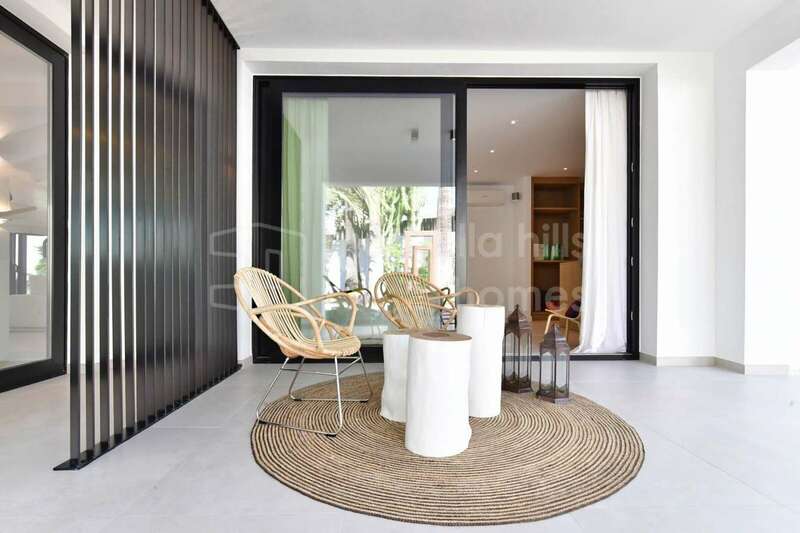 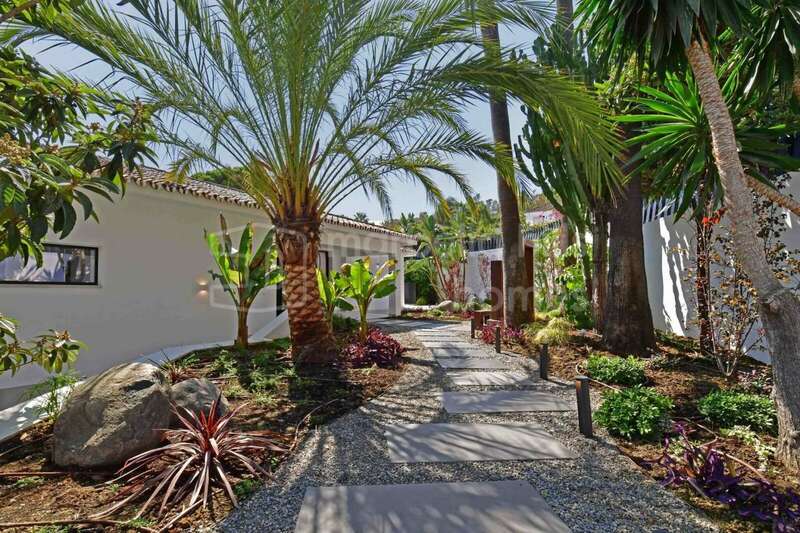 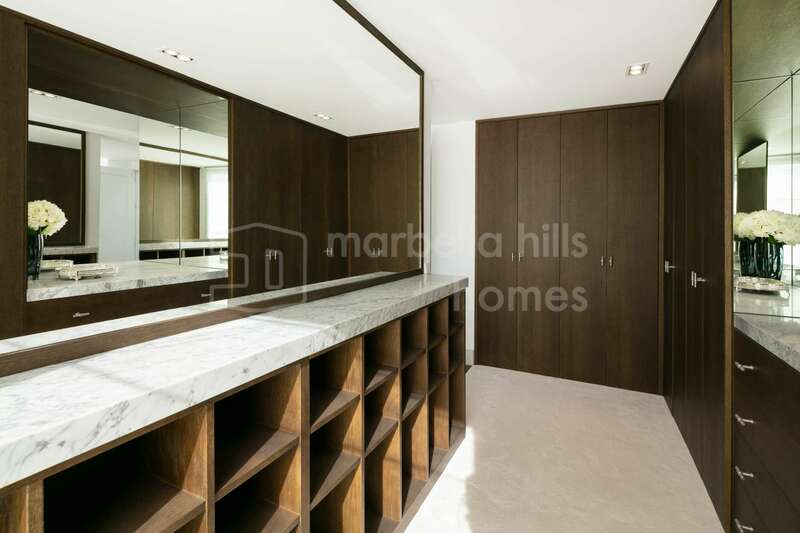 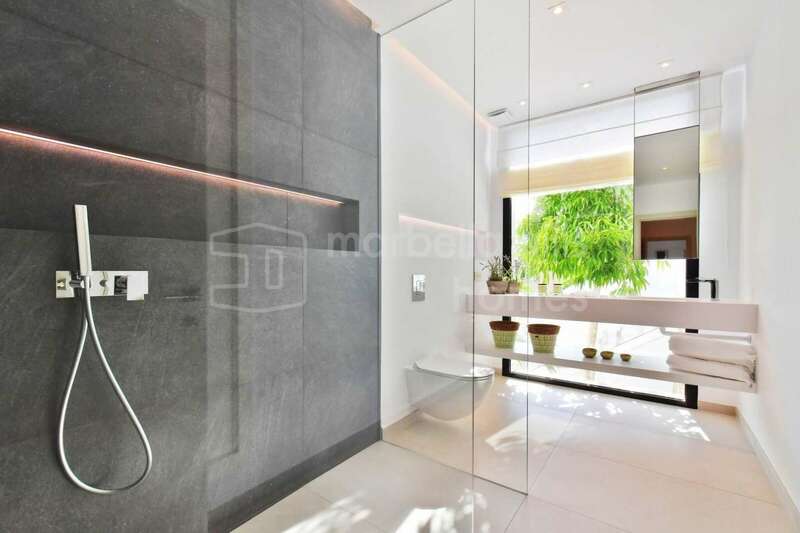 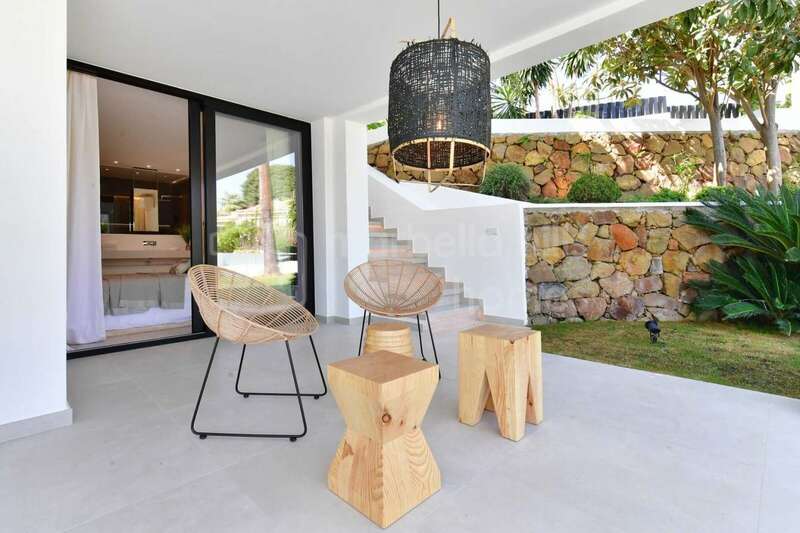 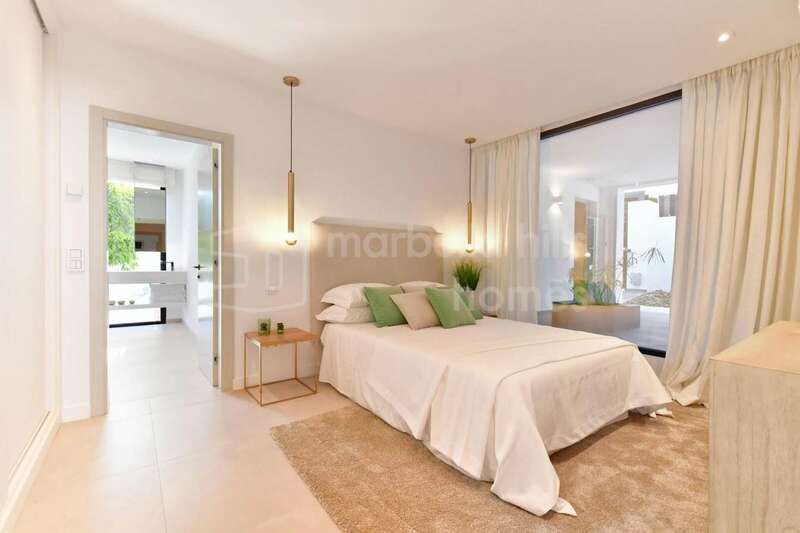 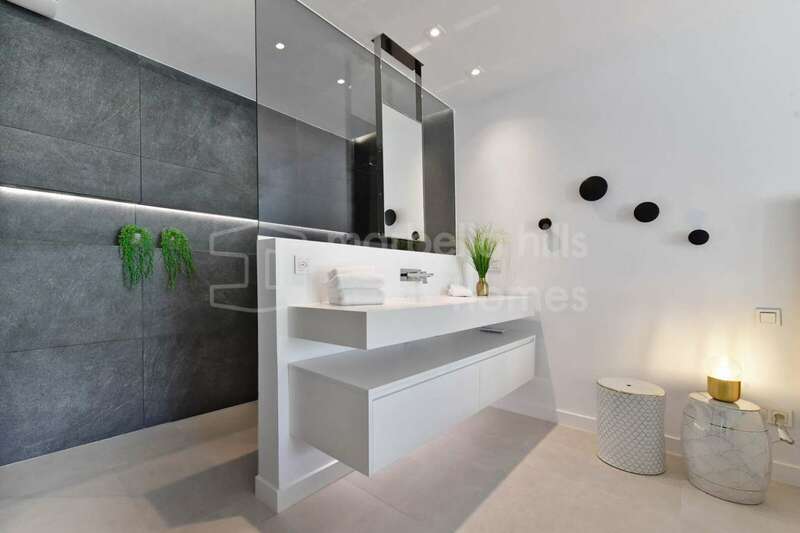 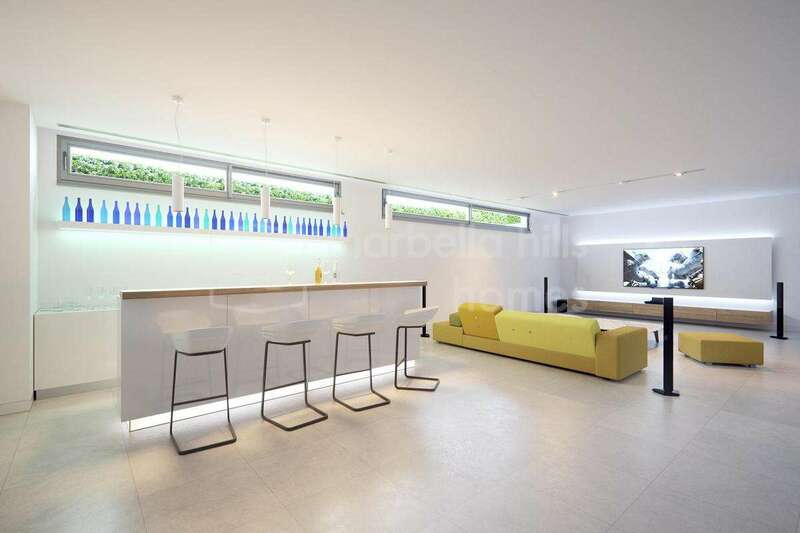 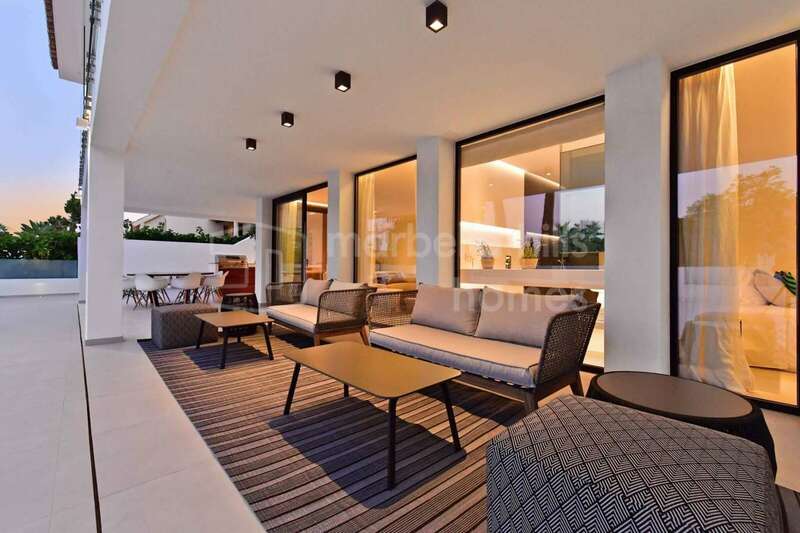 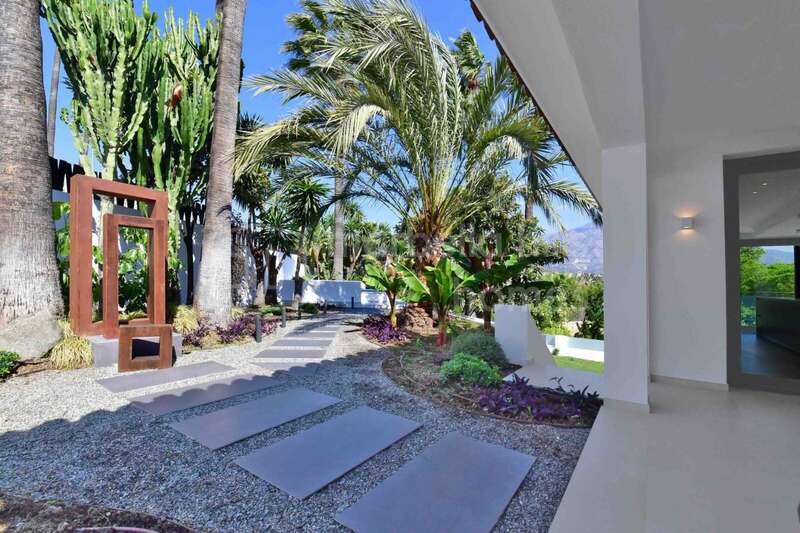 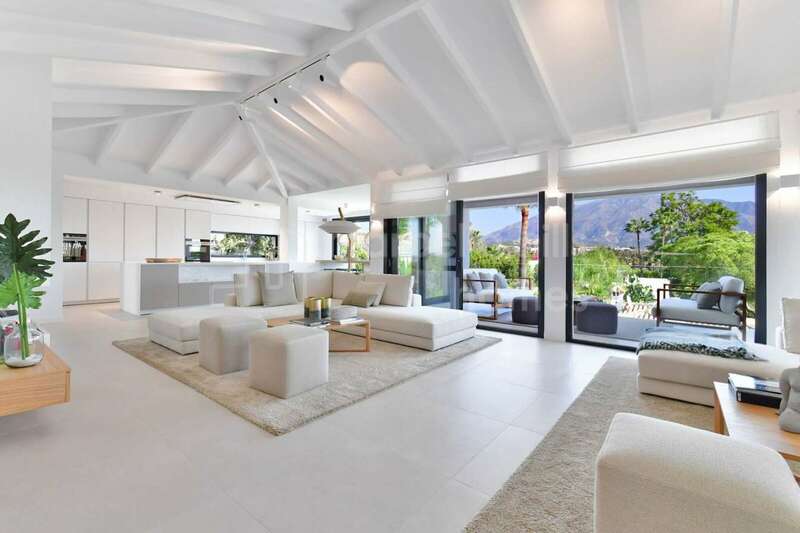 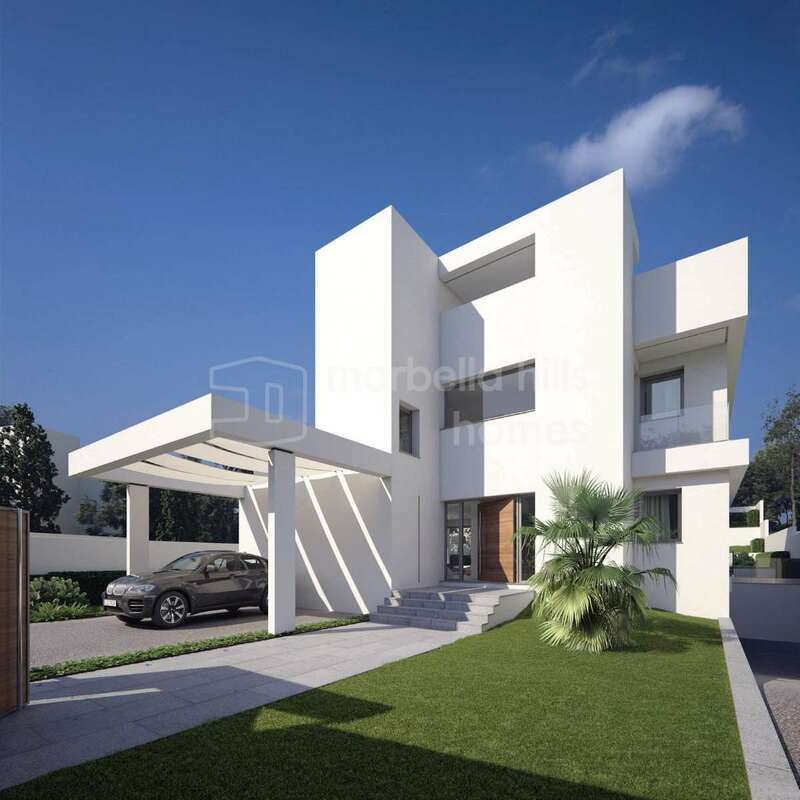 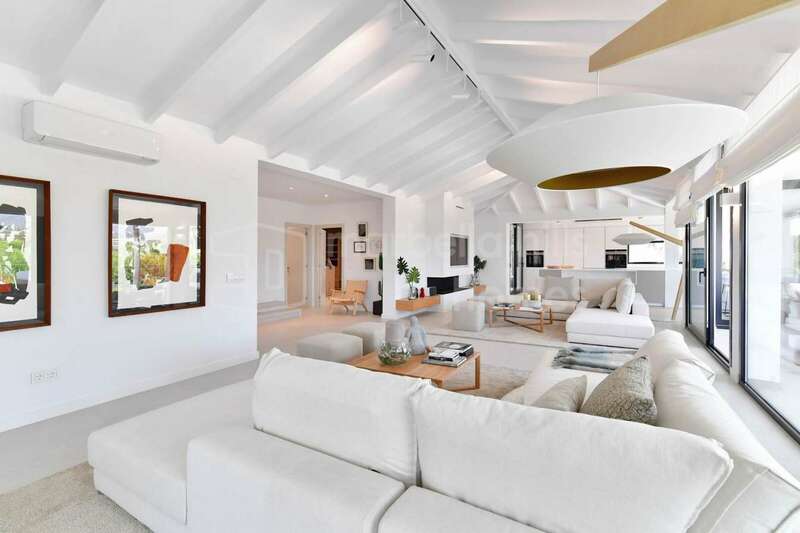 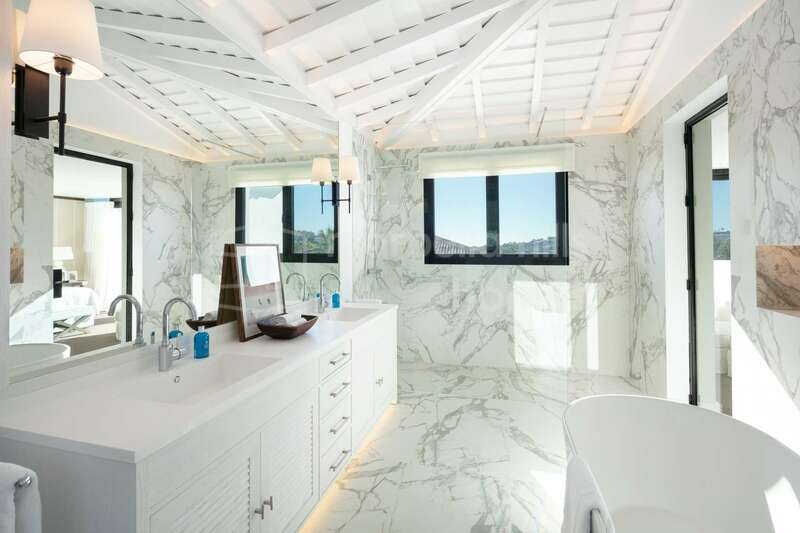 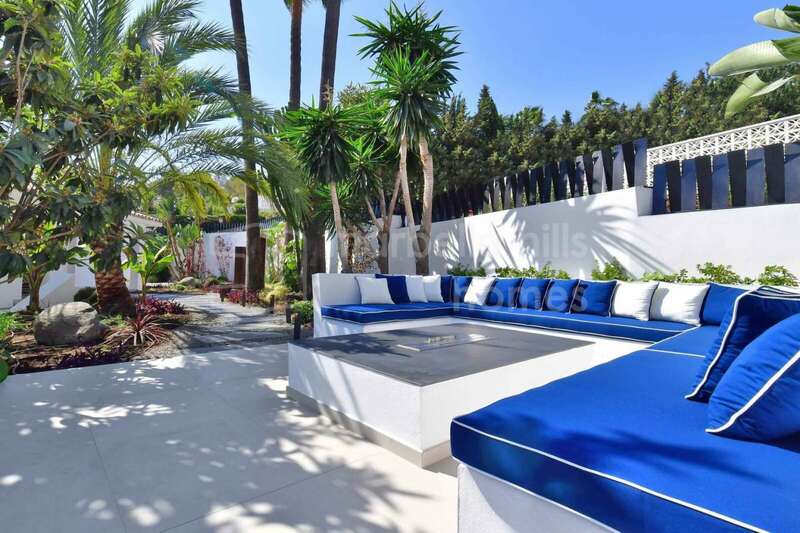 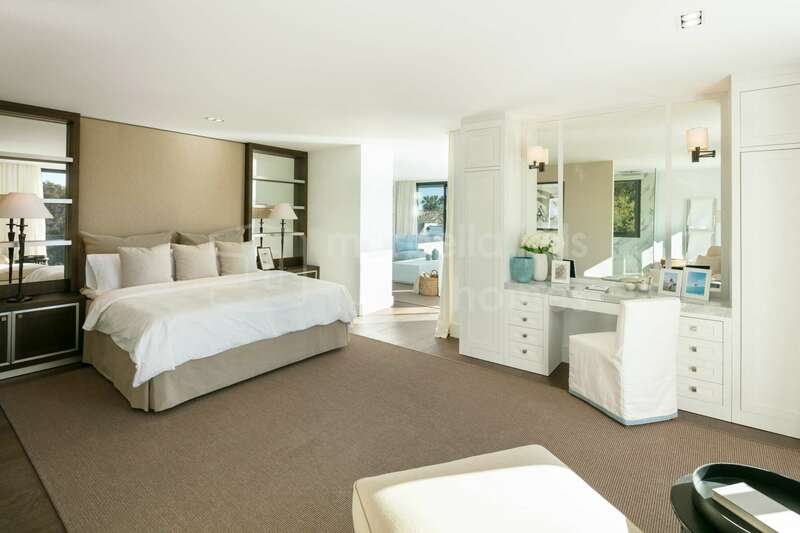 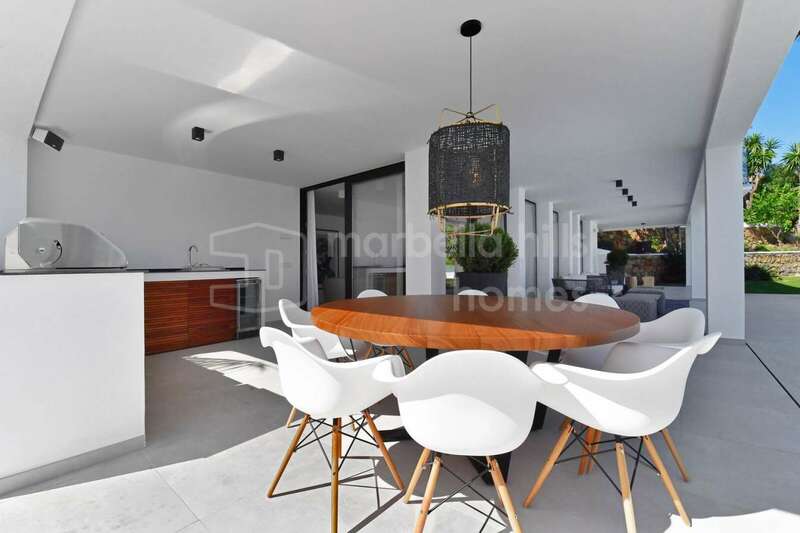 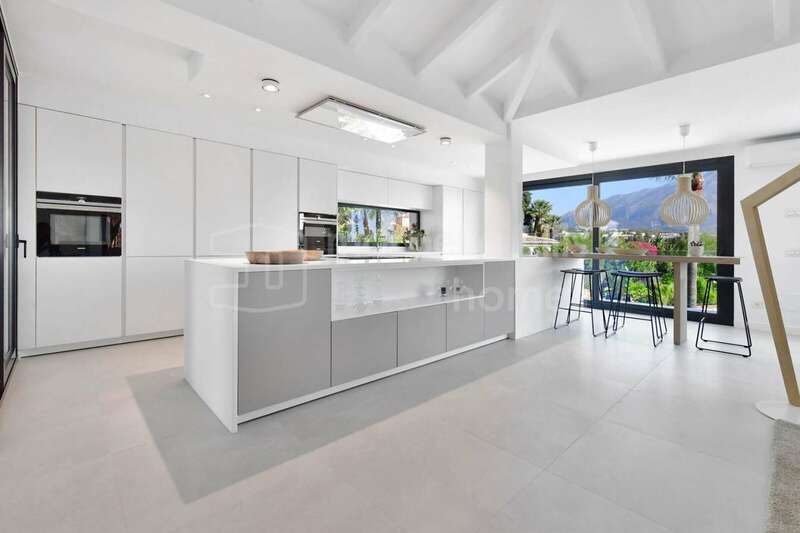 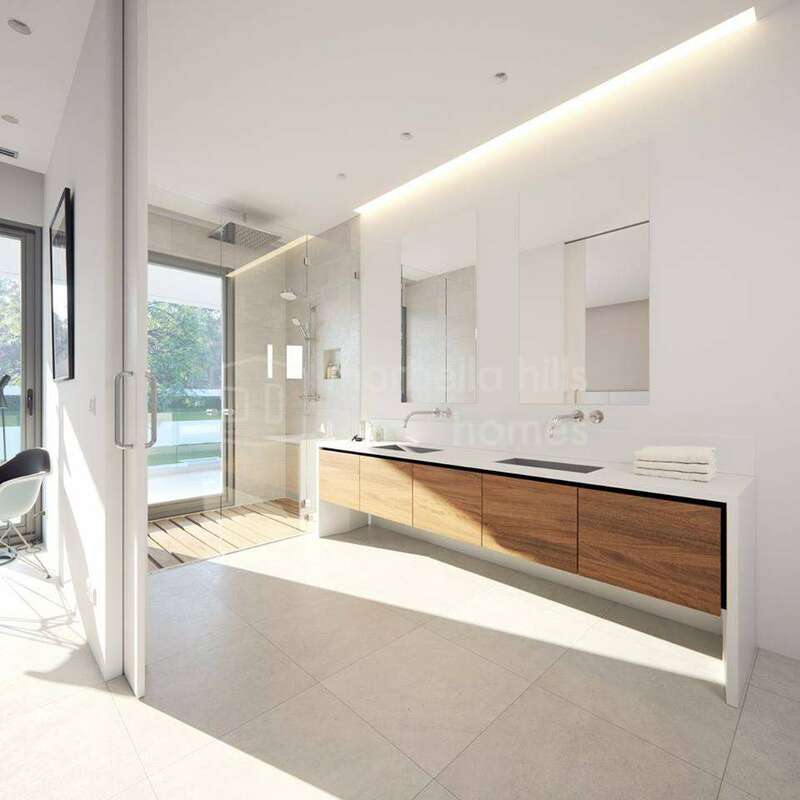 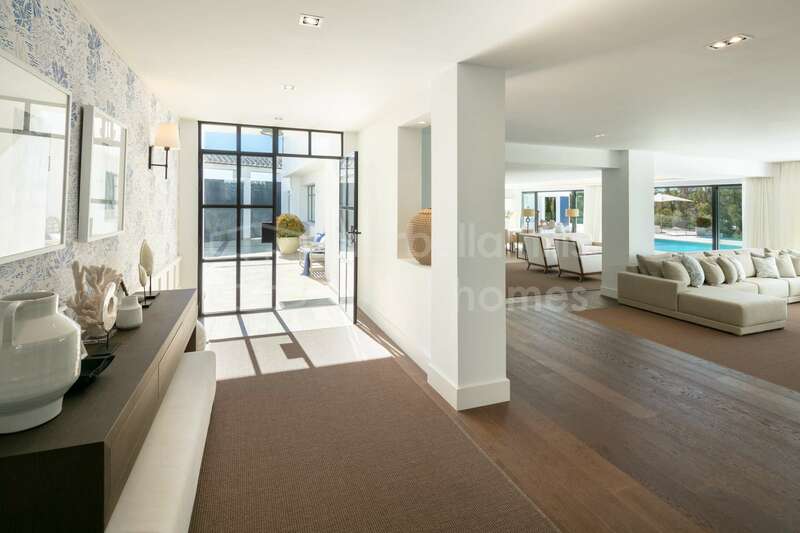 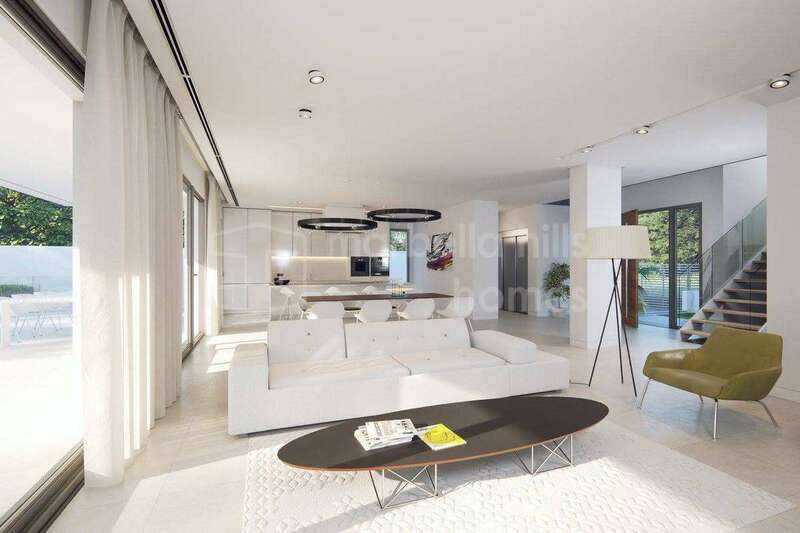 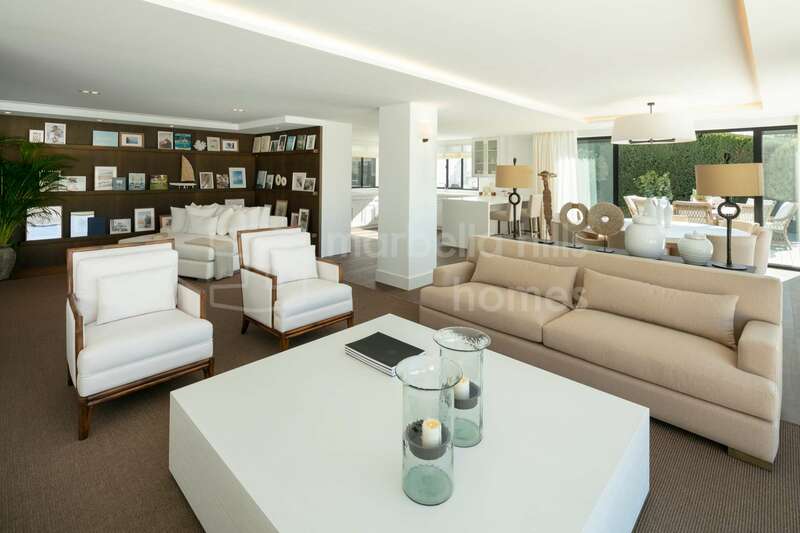 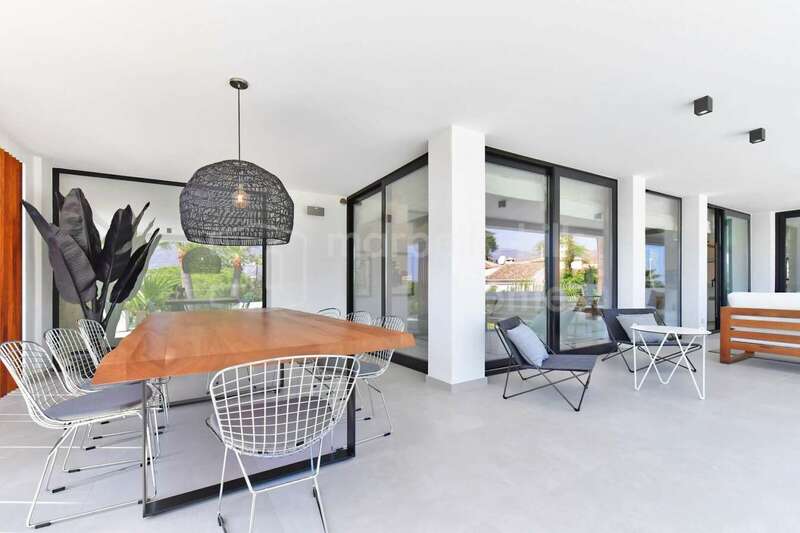 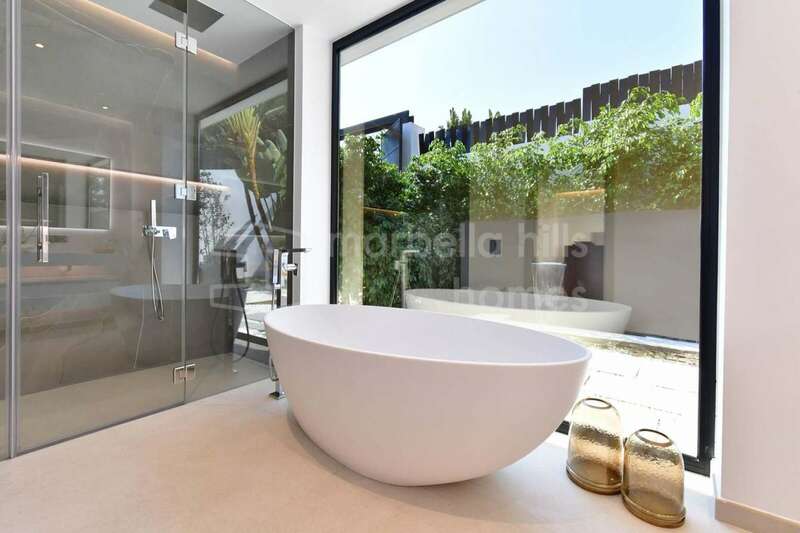 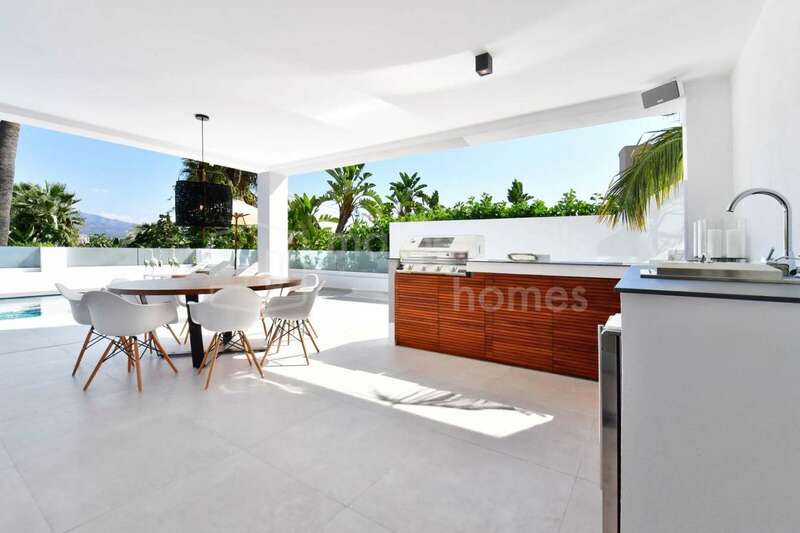 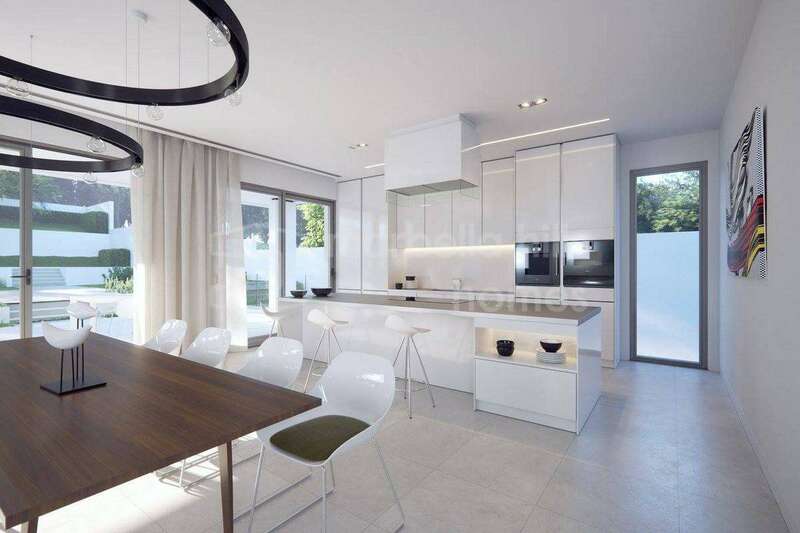 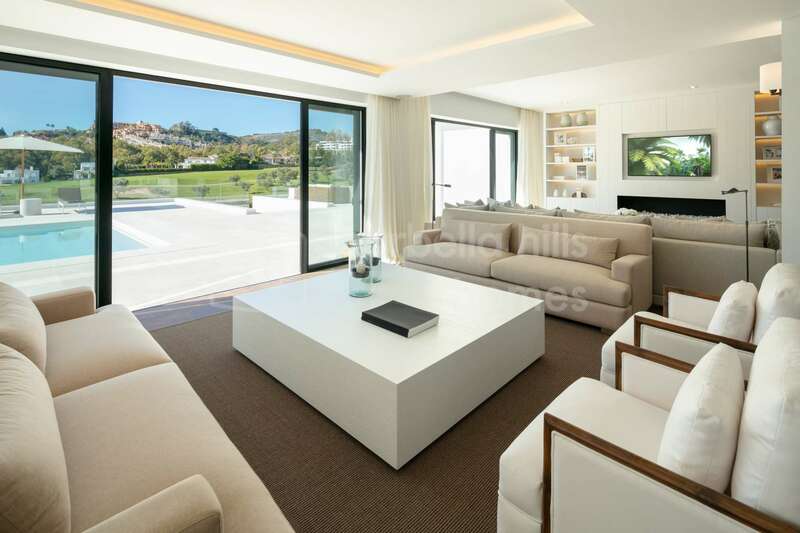 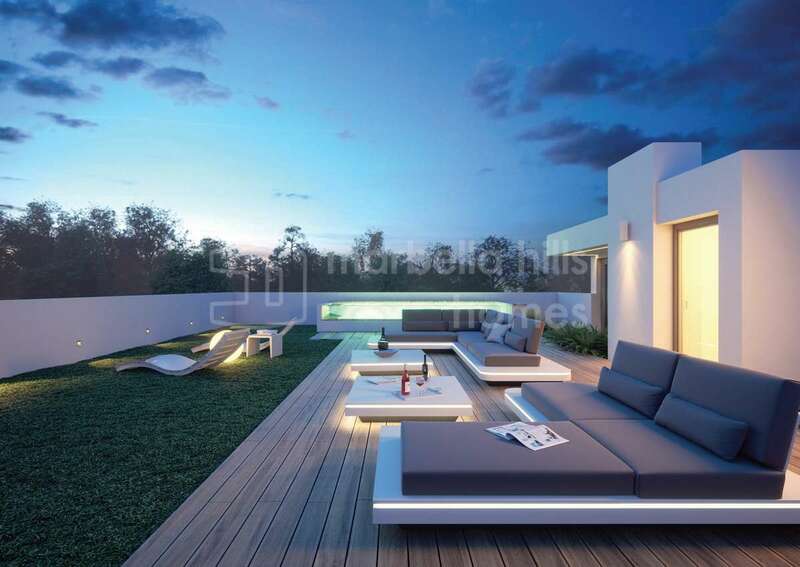 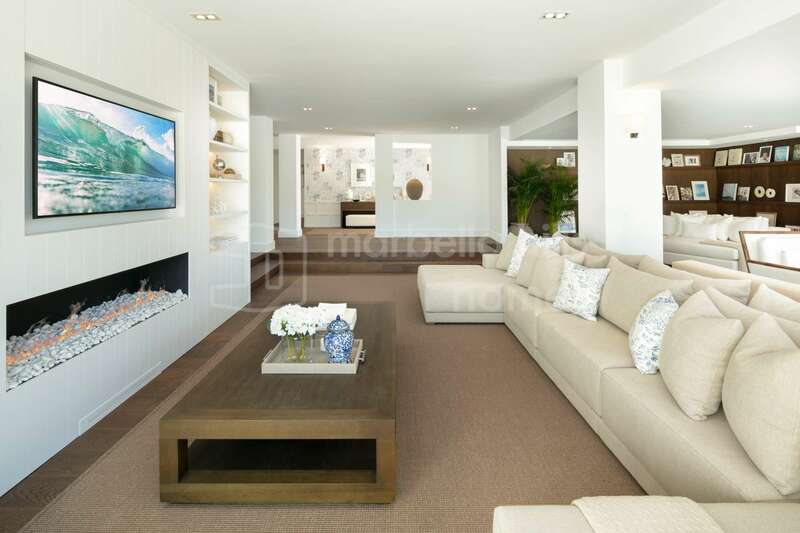 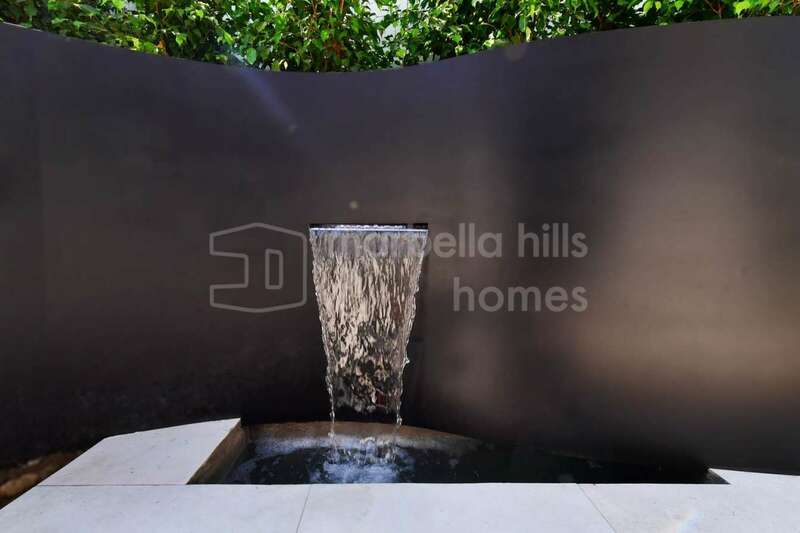 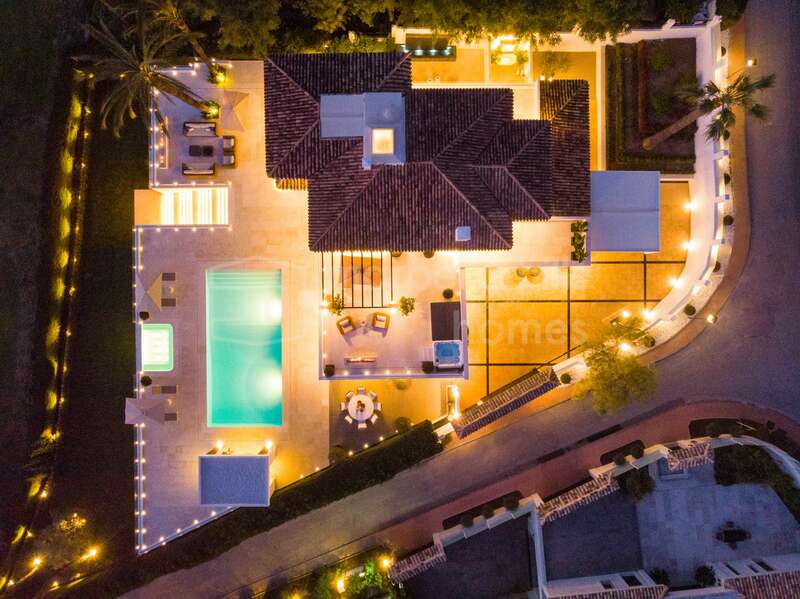 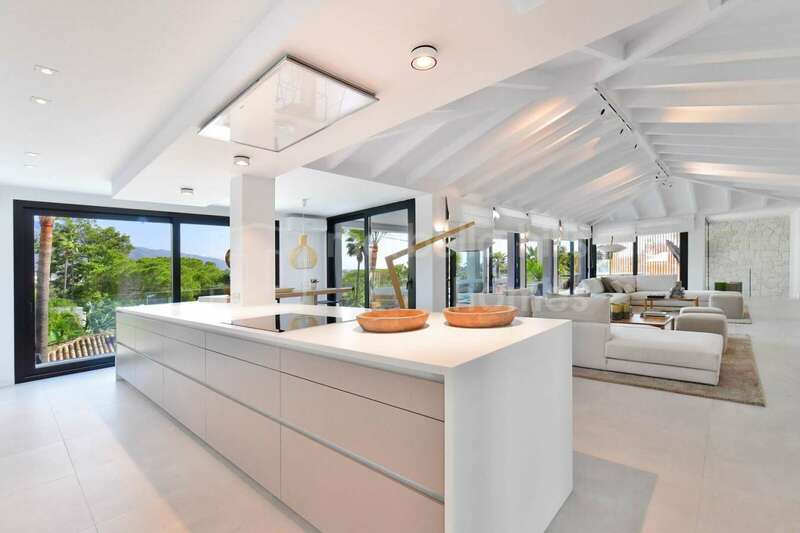 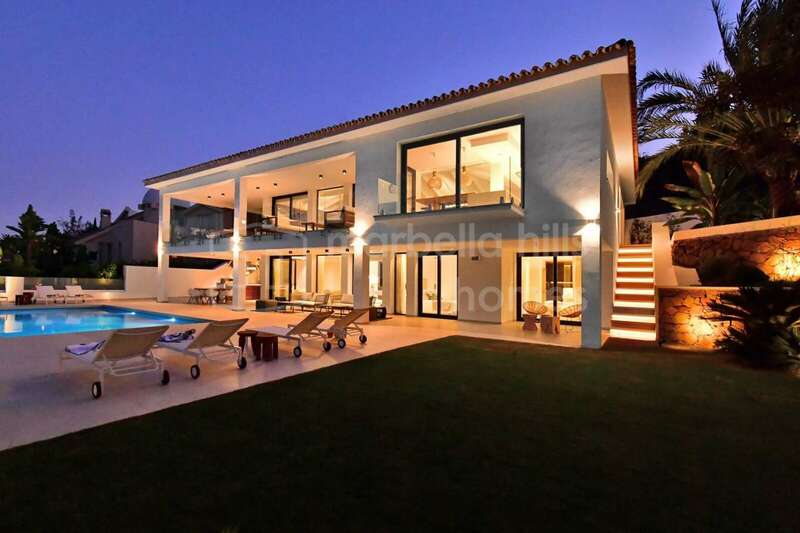 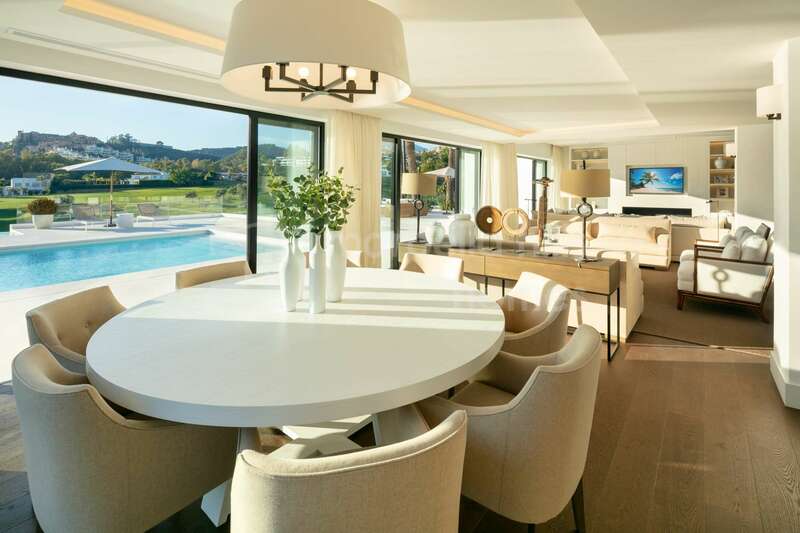 Luxurious new contemporary 5 bedroom villa located front line golf of the prestigious Los Naranjos in the heart of the Golf Valley / Nueva Andalucia – private pool – garden – superb views of the golf course and the mountain – Puerto Banùs, Centro Plaza and the beaches only 5 minutes by car! 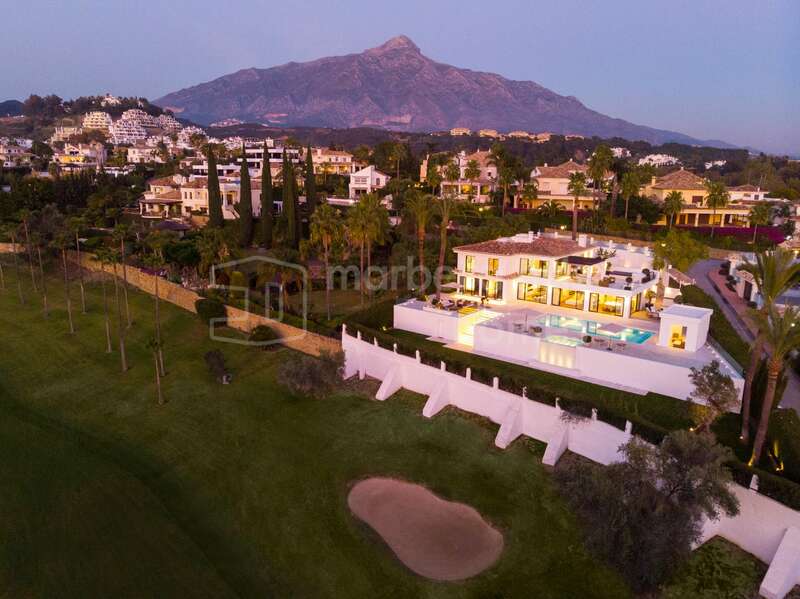 This fantastic villa enjoys a privileged location in the private and secure residential complex of Los Naranjos, it offers five bedrooms, five bathrooms, a fully equipped high-tech kitchen and a spectacular living space giving access a fabulous relaxing terrace with swimming pool, jacuzzi and panoramic views of the golf course and the mountain. 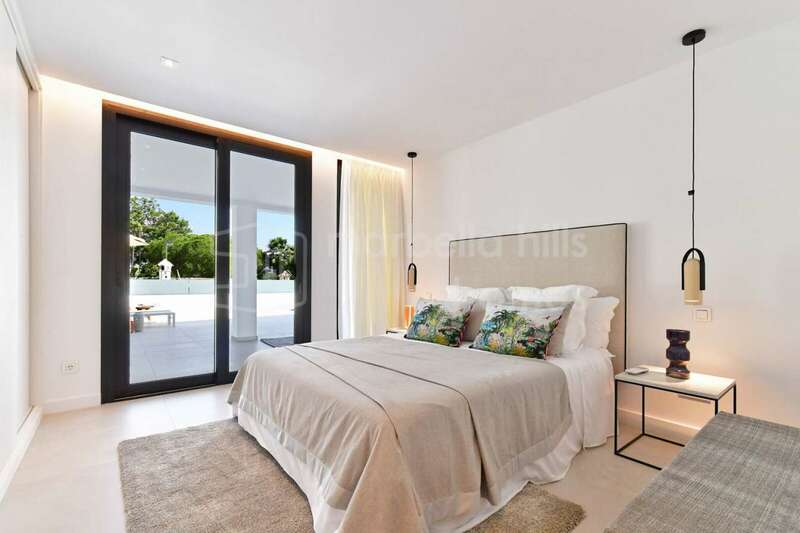 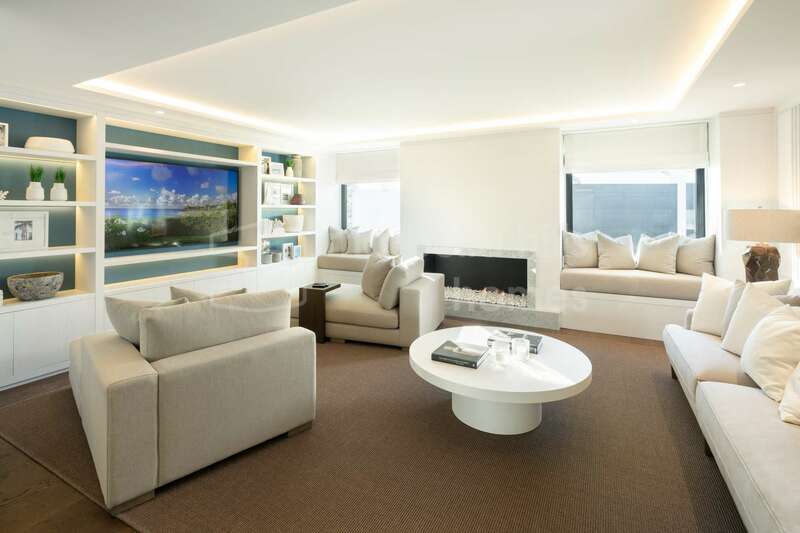 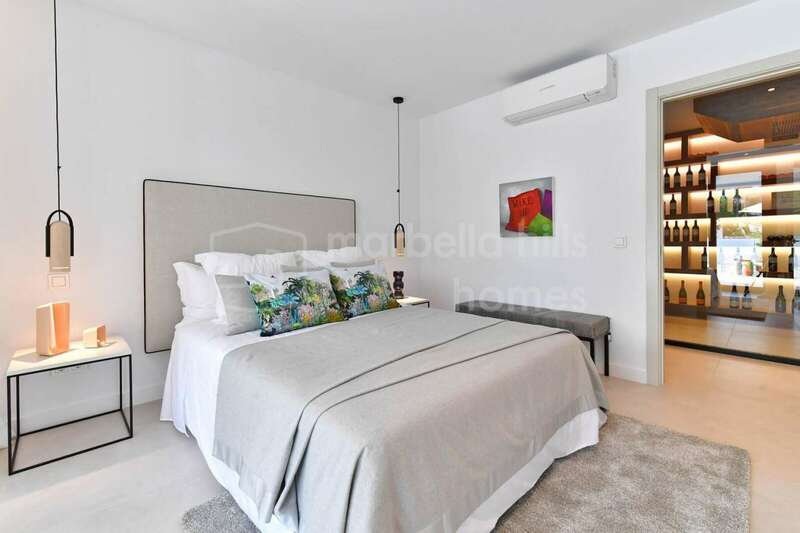 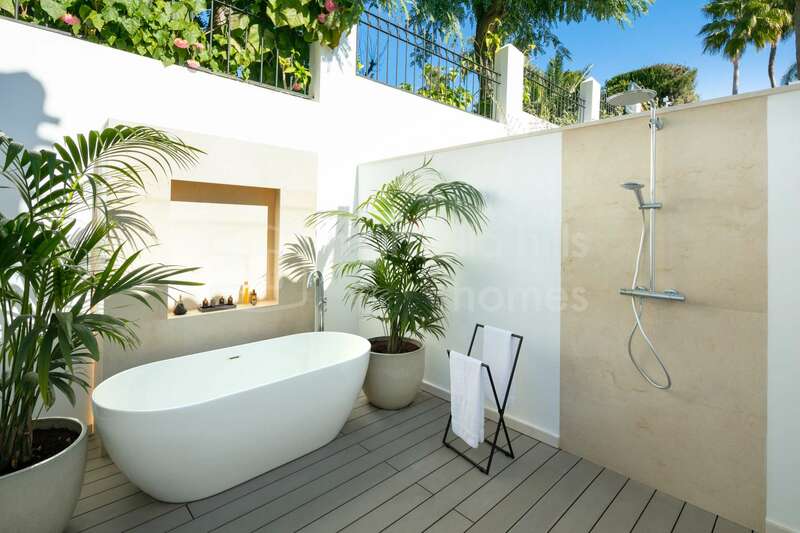 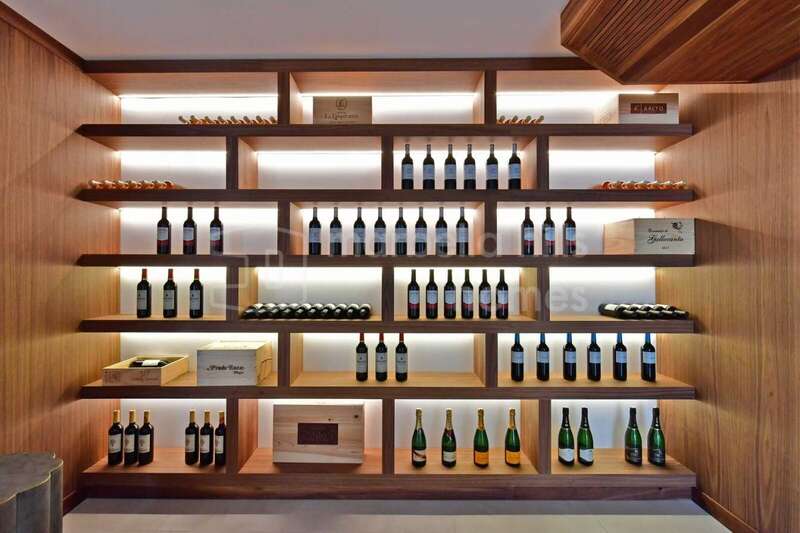 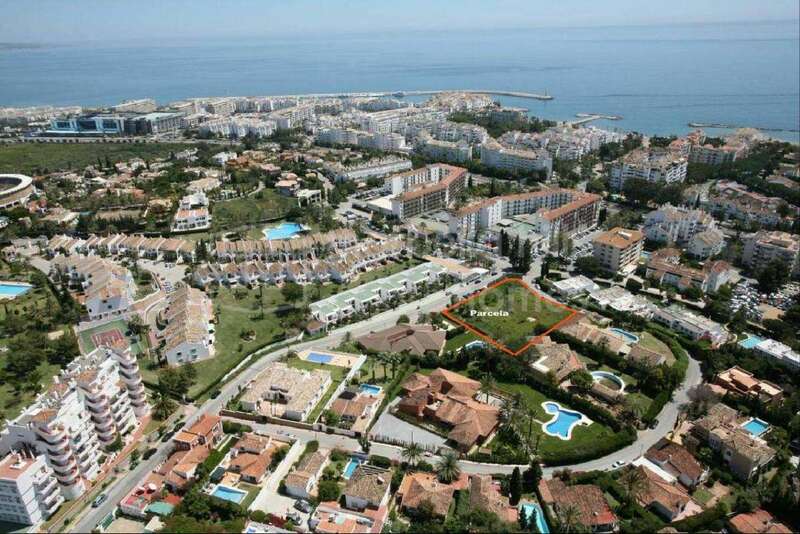 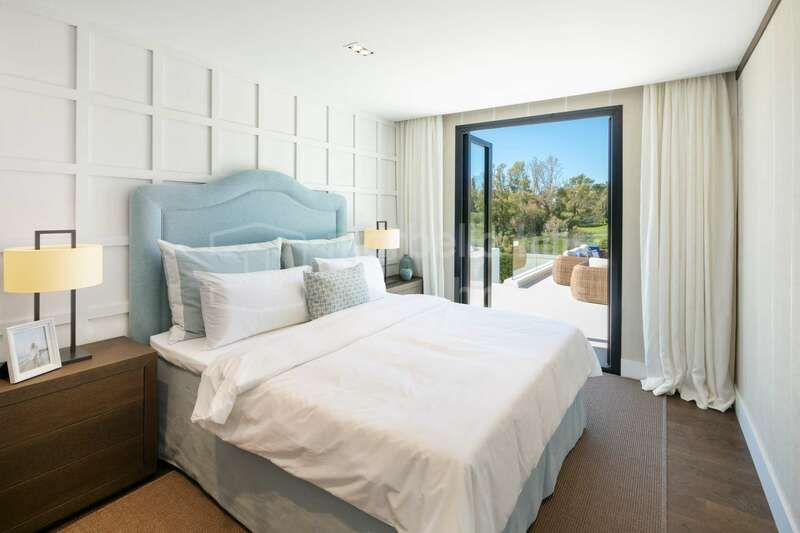 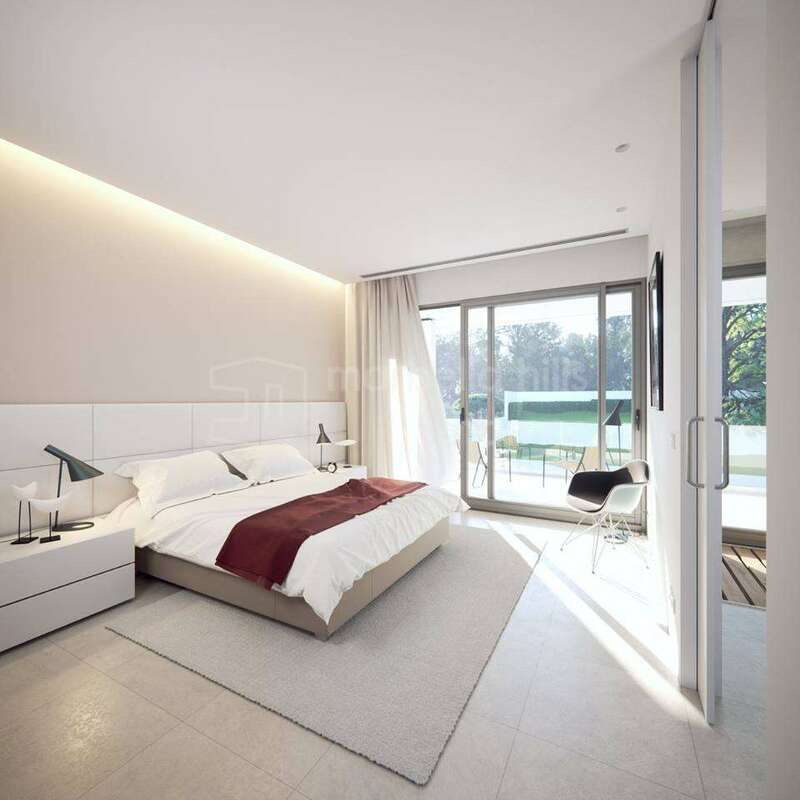 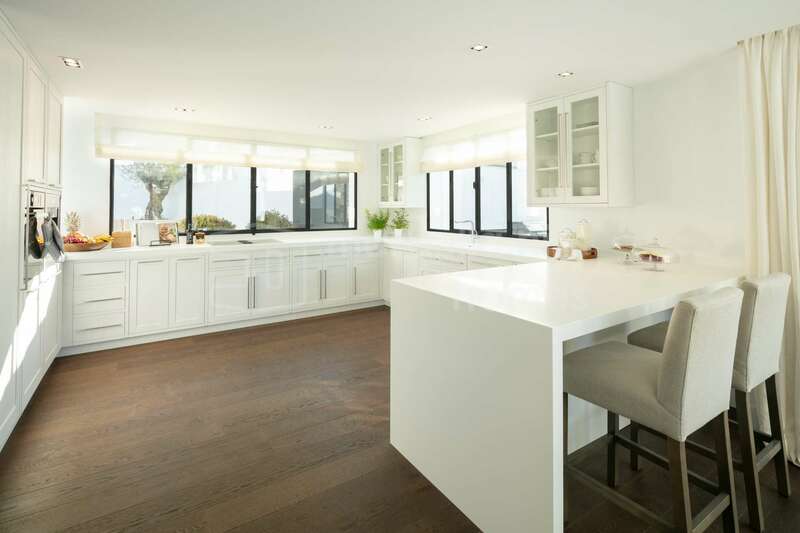 Designed according to very high quality standards, this luxurious residence offers the latest technology in terms of equipment and facilities. 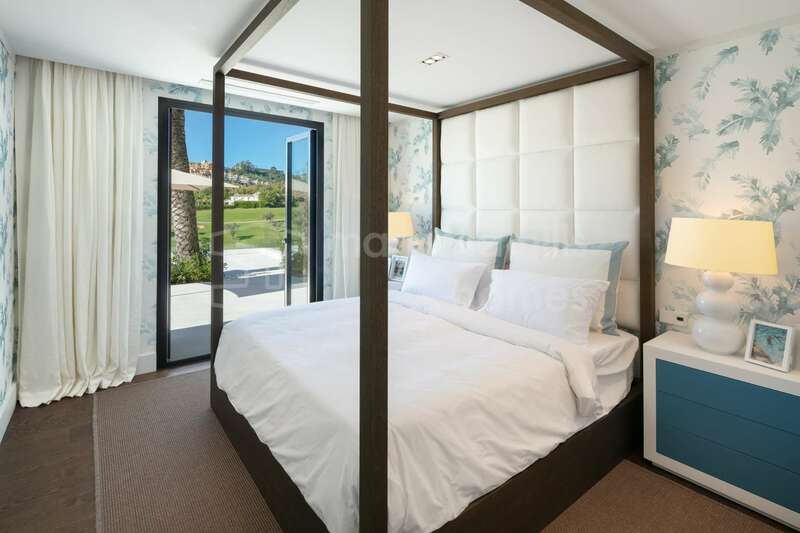 Front line golf, Fully fitted kitchen, Close to schools, Utility room, Pets allowed, Fireplace, Marble floors, Satellite TV, Guest room, Storage room, Double glazing, Brand new, Dining room, Barbeque, Security service 24h, Guest toilet, Kitchen equipped, Living room, Amenities near, Mountain view, Golf view, Underfloor heating (throughout), Automatic irrigation system, Home automation system, Dolby Stereo Surround system, Laundry room, Internet - Wifi, Covered terrace, Electric blinds, Fitted wardrobes, Air conditioning, Panoramic view, Close to children playground, Close to Golf, Uncovered terrace, Separate dining room, Open plan kitchen, Optional furniture.